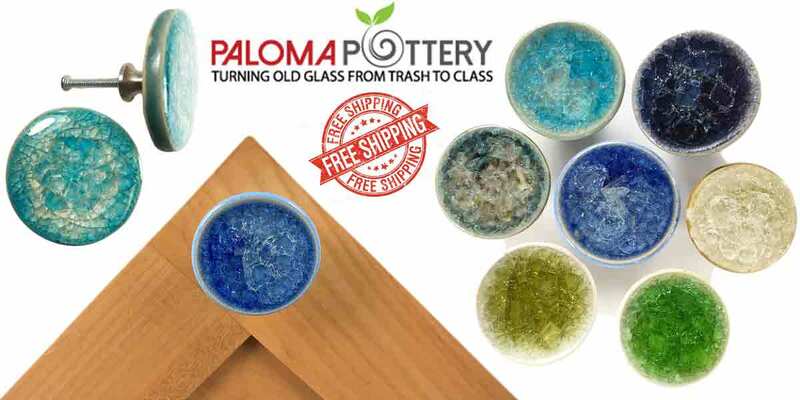 Paloma Pottery specializes in small gestures with big appeal at an affordable price. Crushed melted glass with pools of color, cradled in a sturdy, elegant pottery piece. The combination of textured clay and smooth glass finish has an enduring beauty that brings elegance and artistry to every setting. Transform your home or working space with vibrant colors of the natural world found in these unique pottery products. A powder room may be the ideal place for a sconce candleholder - where the art glass backing captures the light of the flame and sends a radiant blaze into the room. You'll love the subtle presentation of the ceramic and glass tile wall clocks, which bring warmth and sparkle to any room. Also on this list of innovative products are the stunning photo frames, which make wonderful adornments and unique gifts. With a pleasant 20 minute browse through the unique pottery gifts under $20, all tastes and budgets are sure to be pleased. You'll be delighted to find quantity discounts available to help save you money. Plus always free shipping on select items, these unique pottery gifts are suitable for many occasions - weddings, engagements or anniversary and holiday parties. A truly wonderful way to bring the beauty of the natural world indoors.